Hi, Corrine, hi, Landzdown forum! 2. Why Linux is free but Windows costs many money? 3. Are there different versions of Linux? 4. Does Linux have updates? I have read somewhere that updates will end in 2015. 5. If someone is an advanved computer user, he/she can use Linux without any limitations? 6. Can the software (programs) I use in Windows, AND ESPECIALLY OFFICE 14 AND ESET, run in Linux? 7. Could the solution of installing Linux on an old computer costs customers to Microsoft? 8. Linux Vs Windows. Could you please tell us about advantages and disadvantages of the two operating systems, if there are some? Excellent questions. Others have also given answers and I will just be adding to those. Linux, also known as GNULinux is a ‘UNIX-like” (not a UNIX clone) operating system and was originally created by Linus Torvalds in 1991 after playing with Minix, another Unix-like operating system. You could say that Minix inspired Linus to create the Linux Kernel. This year was I believe the 20th Anniversary of version 1.0 of Linux. The Linux Kernel is now at version 3.13.6 (Stable). Later, in 1992, the X-Window System was ported to Linux which began to make it more usable by those who prefer a graphical user interface. Linux has come a very long way since then. I personally use Debian which is a very stable version of Linux and run the KDE DesktopGUI on the more speedy of my computers, but older computers with less RAM and lesser processors generally I will run Xfce. Many prefer Ubuntu for new users, and that’s a good choice, but I prefer any of the Linux Mint versions that have all the goodies folks want to make life easier and so they don’t have to go looking for the restricted/proprietary things. To me that makes life easier for new Linux Explorers. But only if it works for your hardware and you like it. That is the most important thing about Linux. You need to want to use it, and want to play and have a computer playground to test things and see what you like and what your hardware likes. Windows was Developed by Microsoft, a for profit company and they own Windows. They license it to users with more and more stringent restrictions. I love Windows and have used it since I first moved to Windows 3.1x from DOS/GEM (although I still have a license for Windows 1.0 on 5.25″ floppy disk). Linux was developed by Linus Torvalds (and he still has a major say in the Kernel development), but he basically gave Linux to the Free and Open Source community to do with it as they will. So it could be all it could be in time. Linux is licensed under the GNU (General Public License). Boy does the community have a lot of will! Many also get involved with Linux User Groups locally. Oh, yes! More than you would initially think! There are many Linux Distributions and more all the time. Yes, Linux gets up dates quite regularly for itself and any of the myriad of programs you can install on Linux right from the Distrubution you choose. No, that is not true that updates will end in 2015. Maybe for a particular version of Linux but Linux like Windows and Mac are always evolving to newer versions. No matter what level computer user you are, you can use Linux for Free as in Beer and Free as in Free Speech. There are some limitations within the licensing and like anything else you should read the license if you intend to try to make money from it. However, yes, you can for your own personal use use it without limitations. You can rip it apart, put it back together, change it, build on it, build for it. You name it. Your imagination is your only barrier really. And as you do this, you give back to the community to make it better! As everyone else does. Some Windows programs will work in Linux via things like WINE (free) and CodeWeaversCrossOver (non-free). Yes, there are many non-free proprietary or mixture of proprietary and open source, GNU programs for Linux as well as a multitude of free ones! Unless you will have to do major collaboration with others who do use Microsoft Office, or use intense macros or calculations that don’t translate in Excel, you may or may not even need to buy something new. You could just use LibreOffice (my personal favorite of the Open Source office programs and already the default in many Linux Distributions), or OpenOffice.org. Or you could use Microsoft’s Office Web apps and LiveDrive on any OS; Windows, Mac and Linux! As far as ESET goes, you can’t use your current Windows license of course, but ESET does have ESET NOD32 Antivurus for the Linux Desktop that works quite well. You can also run VirtualBox virtualization software, and install Windows on top of Linux to run Windows programs. Or run VirtualBox or VMWare, or Microsoft’s own virtualization software (goes by different names depending on the version of Windows) such as VirtualPC/XPMode on Windows 7 and install Linux to play with it and learn more about it without having to dual boot or have a separate computer to run both OSes. I use Windows XP Pro in VirtualBox on my Mac. I also use different versions of Linux in VirtualBox when I have the space on my Debian Linux computer. That is a difficult question … if I understand the question. As Corrine said, only in so much as they are not buying a new computer that would maybe have Microsoft Windows on it. But it could be equally true that they would not be buying a new computer that is a Mac or a new Chrome Notebook from Google. Or that they would choose a Mac or Chrome Notebook, etc. over Windows as well as the possibility of choosing to use Linux on old hardware. People are the ones who decide what they want to run on their computers; either by installing it on their own computer (Desktop or Laptop), buying a new computer with a specific operating system on it, or deciding to go to a Tablet with either iOS, Android or Windows 8/RT on it instead of using a full blown computer. That really mean different things to different people. Some people need Windows for their business, for their work, for their gaming, etc. Others may also have those needs and deal with them in different ways. And they may want to try new things, expand and get back that feeling of learning again from the ground up like they did back in the DOS and early Windows days and be able to build, create, expand without the costs of compilers, and other development tools. Also, as Digerati said, gaming has always been a deficit area for Linux, but no more. Not since Steam now has a wonderful list of games that work on Linux. One friend of mine used to keep a Windows dualboot around until recently because of that very reason. He no longer needs Windows to play the games. So yes, many things still require Windows, but that is changing. That was more the reason I got into Linux. Plus I liked the fact that even if I didn’t go fully over to Linux, I would still being learning something new that would always be with me and give me that freedom … free as in beer and free as in free speech. Something I could do anything with and I wouldn’t have someone come after me for royalties, licenses, sue me, etc. if I did so. Where my desire to peak under the hood wasn’t hampered, or locked under a non-disclosure agreement, or cost a fortune just to be able to play, or do something worthwhile to help myself or others. I also know that I started with Linux one year and got discouraged due to hardware difficulties at that time back in early 2000, and put it off for almost a year because of some harsh so called help I got on a Linux help site at that time. Which is why was so excited when BATL at Scot’s Newsletter Forums started with Bruno at it’s helm for so long. Between my hubby Jim and Bruno, and some others’ experiences I was able to read and learn from in BATL, I was able to overcome my disillusionment and discouragement and try again when I got some hardware that worked well with Mandrake 7.2 Linux (at that time, name has changed a couple times over the years). I have since gone from Mandrake, Redhat, Fedora, Ubuntu, Knoppix, and settled on Debian for the moment for the past few years. I run Debian Wheezy currently…the current Stable Debian. I also have installed Linux Mint but it’s not on my current systems. I personally would not stop using Windows, Mac or Linux, iOS or Android. I am a technician and a very curious person. I want to be able to use it all, and enjoy it all, and not have anyone tell me I can’t. But I also know that if Microsoft/Windows or Apple/Macs get too stupid for words with their licensing, how safe or not they are, etc., I can fall back on Linux and no one can take that away from me. Until or If that time ever comes, I will enjoy them all! I also want to say that my Jim was the one who helped me at first to get back into Linux with Mandrake 7.2 since it was before BATL at Scot’s Newsletter Forums got started. But as I expanded in Linux I wanted to learn more and explore more, and that is where BATL and Bruno came in starting in 2003. Also, another thing that was very important for me and that I mentioned in other postings, is that I use Mozilla Firefox and Google Chrome, Thunderbird email client which I used up till a year or two ago (now using Postbox from the original developers of Thunderbird), The GIMP, Filezilla, LibreOffice and other Open Source and cross platform programs so in many ways it was an easier transition for me. I have a beautiful desktop and lack for nothing really that I use day to day when I use Linux. I think that if someone really wants to make a transition from one OS to another, making sure you are comfortable with cross platform programs really makes that so much easier. I found it much easier for me to go to Linux and to Mac OS X for the same reason. When I use the various OSes: Windows, Mac, Linux, I am using the same programs across the board for most of my every day tasks. Here’s my LiCo (Linux Counter Number): 183283 created 12-7-2000. Being tolerant is so important. People are important. I find it very sad to see so many get upset, accusatory, having a lack of understanding, etc. when it comes to anything, but particularly in belief systems, and in computer technology. I think Steve Wozniak said one of the most profound statements recently in a Gizmodo Q&A, and it was part of an answer within a totally unrelated question. Don’t be judgmental. Don’t call yourself right and others, who do different things, wrong. Same for computer and smart phone platforms. i like the last line there. my friends and i get heated over android/ios etc and the drug comparison puts it in perspective. i don’t like people criticizing my marijuana use so i should stop judging people based on their platform of choice. Agreed, now only if you could get that point across to the rest of the people out there. Tolerance is important. People are important. The differences between people should be celebrated whether it is belief systems, or operating systems: Linux, Android, BSD, Mac OS, iOS, Windows, Windows 8 RT. Steve Jobs in YouTube video showing off their new at that time G4 iMac! Wasn’t this also the cute little Pixar icon that hopped across the screen and drove the letter i of the Logo into the ground replacing it? Nope, that was an adorable little animated white desk lamp. Pixar was spun off by Lucas Films in 1986 with funding by Apple, Inc cofounder, Steve Jobs (who became Pixar’s majority shareholder, and later sold to Walt Disney Company in 2006. That is such a precious thing to see that little animation on all Pixar films. Those Pixar animators can animate anything! And the YouTube video below actually shows why they use that adorable little animated white desk lamp animation for the Logo on all their productions. I love it! Very small video, little over 2 min long (good to know for those of us on capped bandwidth). But I digress, back to the revolutionary, yep, revolutionary, G4 iMac. Yes, it was revolutionary, ground breaking, exceptional for the day … 10 yrs ago in January 2002! Apple also introduced iPhoto for the first time at the same time as the new iMac G4, as well as making the ground breaking move to from CRTs to flat screens. And writable DVDs (first optical “Super Drive” featuring writable DVDs — as you will remember the “Combo Drive” was CD/DVD but only the CD was writable, the DVD side was read only). 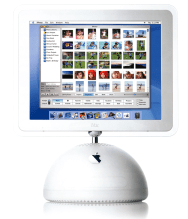 The new iMac G4 also shipped with AppleWorks 6 (an Office-like productivity suite), PCalc 2 (scientific calculator software), World Book Encyclopedia, and Otto Mattic (a 3D action game). And it the first iMac to boot by default to OS X (10.1 Puma) instead of Mac OS 9. Interesting to note that all this was happening just as the original iPod revolution was getting under way. I first got to play with one of these little wonders in about 2005 I think it was when I worked on one for a client. It was an amazing little guy. The only thing I was not happy with was the inability at that time to make it do a right-click on the mouse (which was common among PCs at the time), but had to quickly learn you could use the control-click to get the “right-click” menu. But it was amazing what it could do for such a tiny half ball dome-shaped PC! I have to say it was actually the first Mac that I was truly impressed with. It would be a few years before I got my first Mac, a much faster (1.4Ghz) G4 Mac Mini running Mac OS X Tiger (10.4). I never really got what it meant to hear people say ‘it just works’ until I got that Mac Mini. It really did just work, and was very intuitive. And this from someone coming from Windows and DOS computers before that. I was using Windows XP Pro on my other computers and I still loved Windows XP too but this, this was different. I fell in love with this tiny little box that hardly took up any room on my desk and could do so much. And all that constant annoying vigilance on the Windows PC was gone! Just like with Linux, but it was so polished (which sadly for me is very important). Linux has gotten so much more polished now but back then, not so much. OK, so sure one still had to be careful and do maintenance, but gone was the true concern about all the bazillions of viruses, worms, Trojans, RATS, rootkits like it was on Windows … that were a thing of the past … at least for 6 yrs anyway. But even now, even though this year introduced the first ‘real’ threat to the Mac, it still isn’t the same as it is on Windows. Yep, I love my Mac. I also love my Windows 7 as it is the very best Windows to date and comes as close to ‘it just works’ without being a Mac, and I love my Debian Squeeze running KDE for more reasons than I can say, but it’s mostly about being open and free; Open Source, Free as in Beer yes, but mostly because it’s Free as in Free Speech. You can do anything with Linux you can set your mind to. If you learn to code with it, you can freely create, modify, build up the code, and help the open source community progress in real tangible ways. Linux is the best of all worlds. But, for its simplicity, polish, and beauty, and yes, even its innovation, which is so often ahead of the pack, I very much love my Mac. Now if I can get a new Mac someday that will run, Mac OS X Mountain Lion… 😉 And an iPod Touch that will run iOS 6… Yeah, I’m hooked on Mac too. I will always run Windows for many reasons, most of which is that it is the main stay for my business and I will always run the Mac because I just love it for the reasons given above, but if both of those went away tomorrow, I would still have my Linux. I guess I just love technology…I started out in computers before home computers were universal like they are today. I originally had a RadioShack Color Computer, then went to an 8088 running DOS, a 386SX running DOS and Windows 3.1.1 WFW, and then to 486 computers running Windows 95, Win98SE, eventually P4 running Windows XP and now AMD Dual Core Athlon 64 that can run Windows Vista (groan! ), and Windows 7 and Debian Squeeze. And of course my newer Intel Mac Mini 2Ghz Intel Core 2 Duo with 2GB RAM that runs Snow Leopard, and can run OS X Lion, but will never run Mountain Lion, and an older 2nd Gen iPod Touch that I also love but has trouble with many new apps and upgraded apps now, and will never run IOS 5 or IOS 6. 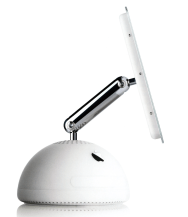 It is amazing to me that it’s been 10 yrs, 10 1/2 yrs now, since that first iMac G4 came out for PPC (Power PC) Macs. Approximately the same length of time that Windows XP has been running on PC computers. Amazing. Whether you agreed with his corporate philosophies or not. He was a still a brilliant 56 year old fellow human being who has finally lost a terrible battle with cancer. On the plus side, he co-founded Apple, Inc. and several other companies of note while he was away from Apple, then came back and pulled Apple out of it’s economic doldrums to become a technological giant in first the mobile devices arena and has begun to play catch up on the desktop/laptop arena as well. I definitely didn’t agree with a lot of his philosophies, corporately or patently, but he did bring about some great innovations. I would love to have seen Apple move the other direction to keep up their old revolution persona from 1984, but that was obviously not to be in this corporate environment. 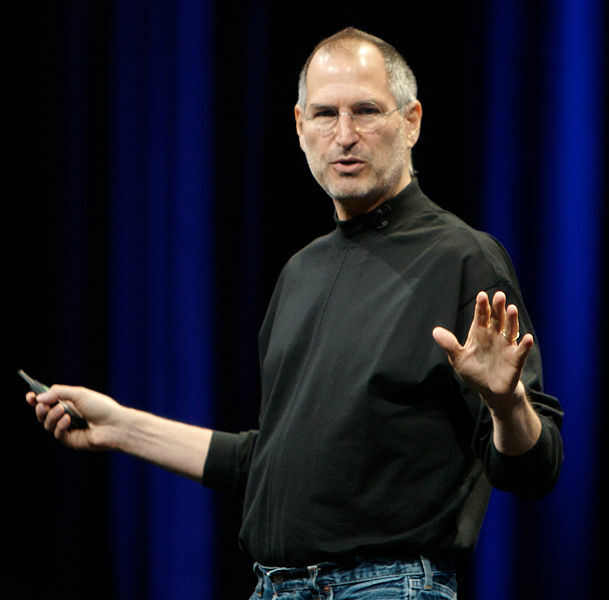 Rest in peace, Steve Jobs. No one deserves to battle or lose the battle with the demon called cancer. My heart goes out to his family and friends. This is just too much fun! And also green if you care about such things. I am posting from my iPod Touch to my blog. I am getting ready for our JimmyLee and Bambi Show on CNIRadio.com at 7PM EDT, but had to take a minute to post a little something on this topic with the device. Well back to other things and see you all later for the show. Hope you can make it with the holiday and all. Is the Java Update that was put out last month for Windows and this past week for Leopard and Snow Leopard not a security issue for Tiger users, or did Apple decide to not bother making sure those who still are stuck using Tiger wouldn’t be safe??!?? This is one of two reasons why I hate that Apple does the Java updates for Mac OS X instead of letting Java do it like it does for Windows. First reason is they are always late. 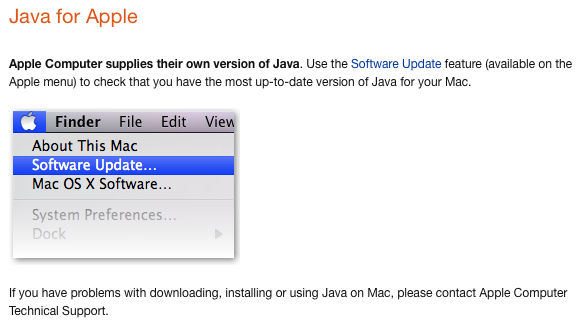 Second reason, when Apple doesn’t want to update Java for Tiger, like they did for Panther, etc., they just stop updating it.